I grew up in Kirkintilloch. My Dad was a fireman and my mum worked in a supermarket. I'm number three of four children, and we had a typical working class background for that time and place: council house, leave school at 16, no one in my family had ever been to university. I hated school with a passion. I found the whole thing really monotonous and depressing and played truant as often as I could. In spite of that, I did reasonably well and left after my last exam with five O-Grades. I went to work as a YTS trainee hairdresser. This really bored me too, and so I did a succession of jobs thereafter (hair technician, VDU operator for the health board, trade counter assistant in a paint shop, trace investigator). I kept looking for something that I didn't hate and gladly stayed home to bring up my children when I got the chance. I returned to education for financial reasons. I needed to earn money but I didn't really want to leave my children, so I chose primary school teaching. I was terrified of everything. Terrified I wouldn't get in, terrified of the interview, terrified to show up on the first day, etc. I spent the evening before I started in floods of tears, but agreed with my husband to go along and come home if I hated it. I loved college from day one. It made me feel more interested, more alive, and more like myself than I had in a very long time. I learned about things I had never thought about and I developed views based on facts rather than opinion. I discovered a strong work ethic and a real passion and commitment to my studies. It was really hard work and I was tired a lot of the time, because as soon as my children went to bed I would get to work. The best feeling was the sense of achievement when I realised that I could do the work and actually get good feedback. The camaraderie with my fellow students was also a huge boost emotionally and made studying fun. The confidence this gave me then translated into every aspect of my life and gave me a real sense of optimism for the future. I discovered that being in a primary school classroom really bored me at about the same time that I discovered the psychology of eyewitness memory. At that point I decided that going to uni meant I could explore psychology more and work out what I was going to do with my life. It would also give me a lot more free time and flexibility to look after my children. I was really scared to come to uni because I thought I had gotten in by the SWAP "back door" and that I didn't really deserve to be here. I was also really scared that I was too old and that the students wouldn't talk to me. Well, the students didn't care how old I was. I made some great friends and had a lot of fun hanging out with them. I also discovered that not only was I good enough to be at uni, but I did better on my assessments than many of the students who came to uni at 18 with all those Highers. Ultimately my confidence and abilities grew and in my third year I began to work as a student intern in one of the psychology labs. By the time I graduated the following year, I had managed to obtain a good degree and some really valuable work experience. After graduating I went to work at Glasgow Uni as a research assistant before coming back to Stirling the following year. When I came back to Stirling Uni I also got to study part-time for a PhD, which I completed in 2012. 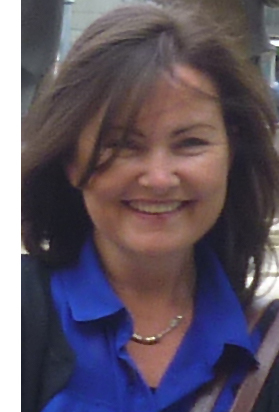 I have worked as a research assistant at Stirling and I have now written and delivered courses in Forensic Psychology and Cognitive Psychology at Stirling Uni, Heriot Watt Uni, and for the Open University. I've also written scientific journal articles and recently joined the staff at Edinburgh Napier University. I love research and teaching and can honestly say that I never get bored. My personal goal is to do my bit to keep widening access to university for people like me - if you think that maybe you could do it, then you really can do it.